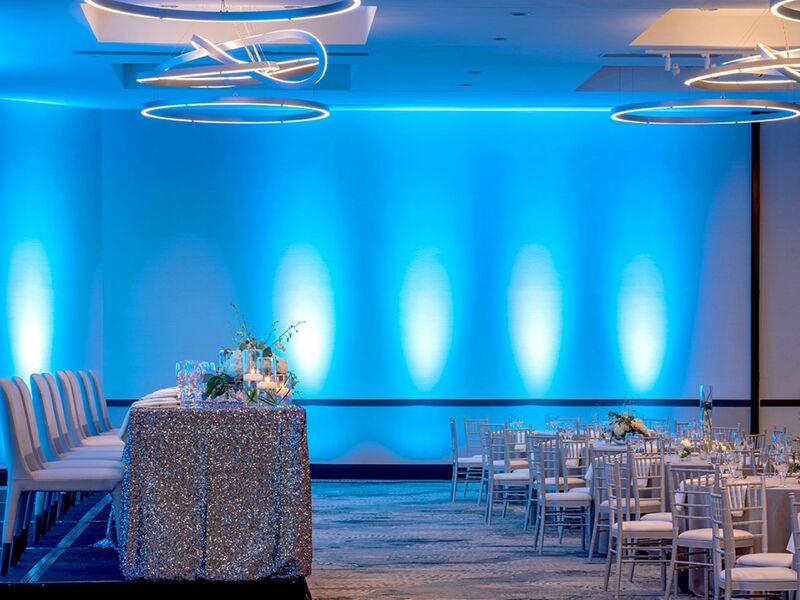 Bring your special day to life when you celebrate with us at Hyatt Regency Indianapolis. 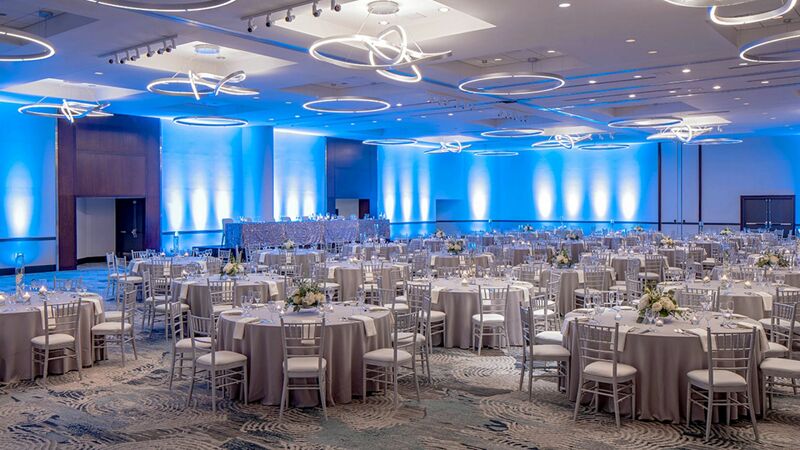 Picture yourself in our romantic ballroom, surrounded by friends and family, and savor every moment as you say “I do” in our captivating Indianapolis wedding venues. 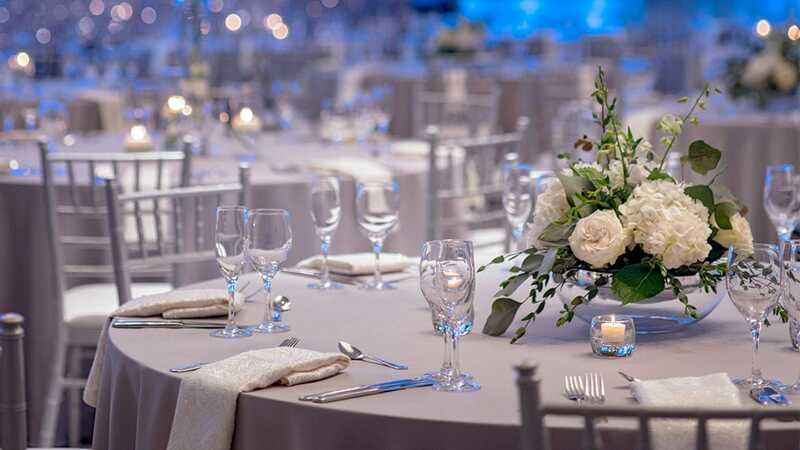 From designing your catering menus and seating charts to the first sip of Champagne and the final dance, you will receive nothing less than perfection on your special day. Select from our stylish wedding locations for your most important day. From our breathtaking Cosmopolitan Ballroom to the drama of our 21 story atrium lobby, your dreams come true within our elegant wedding venues. Hyatt Regency Indianapolis offers a choice of 5’ rounds that can comfortably seat eight people or 6’ rounds that can accommodate up to ten people. Our on-site audio-visual experts, PSAV, can help you execute your ideas, from a slide show to special lighting. Our team of culinary experts can create an ice sculpture to match your theme, from simple to the most elaborate ideas. An awe-inspiring setting deserves an equally splendid wedding menu. Hyatt Regency Indianapolis goes to great lengths to ensure that our cuisine astounds the palate and exceeds expectations. 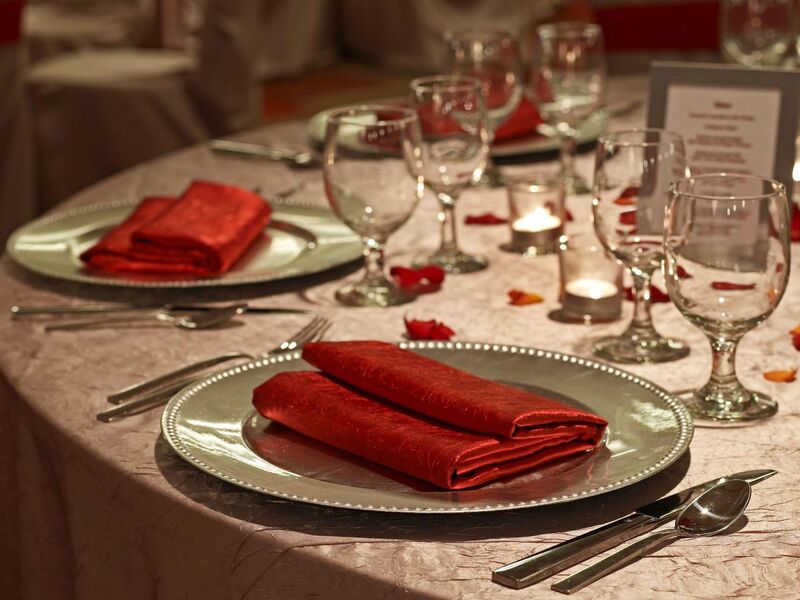 Work with our catering department to design the menu that best reflects your event, preferences and budget. Whether your tastes lean toward clean, uncomplicated fare or indulgent, cosmopolitan cuisine, we can assist you in creating a menu to reflect your style and preferences. We can also provide your guests with a selection of luscious entrees to choose from through our Personal Preference Dining® program. 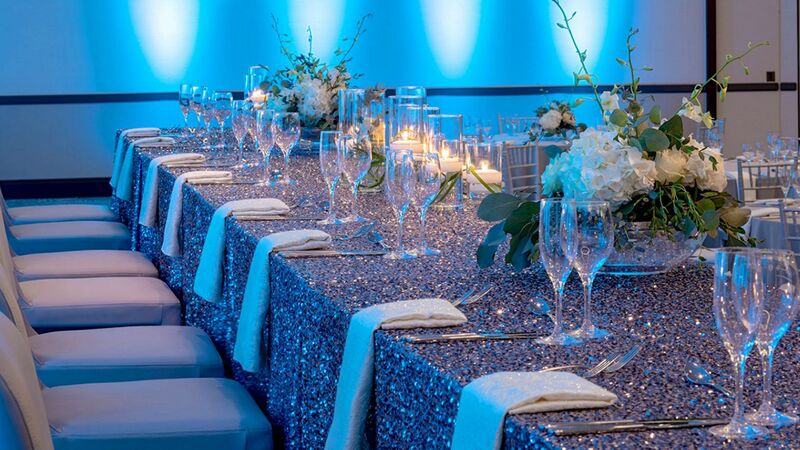 Compliment your unique personality with one of our customizable wedding packages at Hyatt Regency Indianapolis. Since your childhood you’ve dreamed of this special day, rely on our professional staff to help you create a picture perfect event. No matter your taste, style or budget, our talented chefs will create tempting menu selections that surpass your expectations and delight each of your guests. Your menu can also be adapted to meet ethnic and dietary concerns, if needed. Yes, our food and beverage experts are happy to create a menu that reflects your wishes. Our experienced team will work with you fulfill your requests. 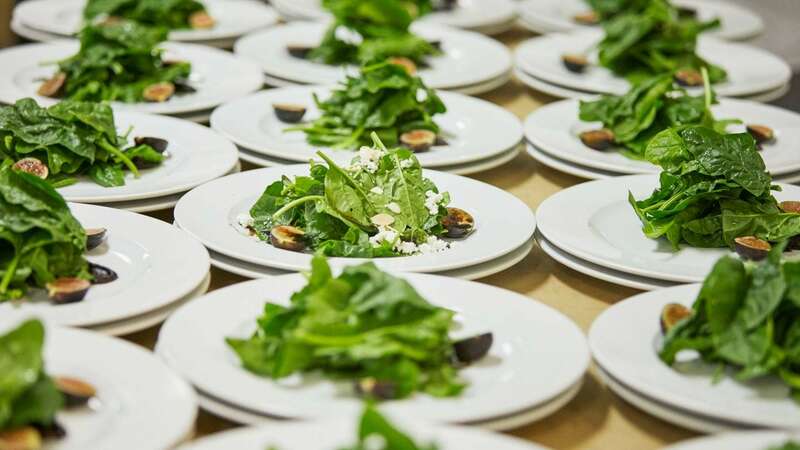 In addition to our outstanding traditional catering, we offer the only dedicated hotel kosher kitchen in the Indianapolis, as well as our own in-house pastry kitchen. Of course. A complete tasting of all the selected menu items, including your cake, will be scheduled several weeks prior to your wedding. At that time, we can make any necessary adjustments. 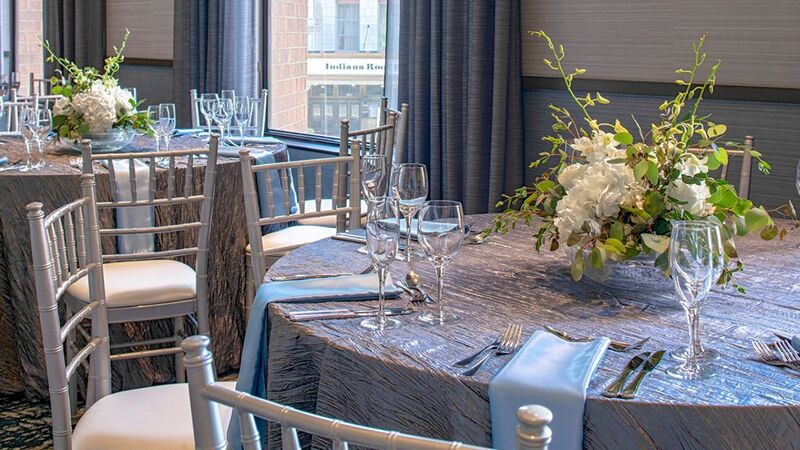 Can I have a morning-after brunch or rehearsal dinner at the hotel? Certainly. We have several locations that are appropriate for these occasions. Are taxes and service charges included on the price? No, your contract pricing will not include all taxes and service charges. Please remember, pricing is not final until a signed contract is returned to your wedding specialist. Allow us to give you ideas and suggestions that have successfully worked in the past. Of course, our wedding specialist will be happy to assist you in acquiring anything we may not have readily available.